Does Self Hypnosis for anxiety work? Why do thousands of people turn to self hypnosis for anxiety disorder self help? In the first place anxiety and depression medications are habit forming and pose many risks and side effects. If you understand the nature of anxiety and how self hypnosis actually works, you won't be surprised at how quickly and effectively sufferers of anxiety, can experience real relief with self hypnosis. Over the past twenty years, I've taught thousands of people how to effectively use self hypnosis for anxiety. That is not to say that self hypnosis is a magic potion that will immediately cure you of all anxiety for life. But if you use mind power techniques, like self hypnosis regularly and apply the principles in your everyday life, you will be amazed at how much more control you have over your mind, the secret weapon in battling anxiety disorders. Anxiety comes from worry and fear. In other words, anxiety is often the RESULT of imagining bad things happening. For example, one of my clients had a horrible fear of snakes. Merely seeing a photo of a snake in a magazine advertisement would induce a slight sense of panic. Yet she knew even as she whipped the page over in dread, it was an irrational fear. She KNEW with certainty that the snake could NOT jump out the page and attack her. But that did not stop her fear. So, how is it that a rational person can experience such an unfounded sense of dread and anxiety? Once again, it is the power of mind. You see, the brain (as advanced and complex as it might be) cannot distinguish between what is real and what is imagined. The woman, afraid of real world snakes, experienced the SAME sensation simply by imagining them -- or seeing a picture in a book or magazine. This particular client had not actually ever suffered a REAL live interaction with snakes but the fear was there nevertheless. This is why anxiety can be such a challenging thing to overcome because, at its root, it is often deeply embedded in our brains as a mental "knee jerk" reaction to something that is happening only in your mind and NOT in REAL LIFE right now. how do you stop anxiety? All self hypnosis really is, is a combination of deep, controlled relaxation AND taking control of your own internal thoughts -- the pictures you see in your mind, the voices inside your head (auto suggestions) and the the things you feel inside. When you relax, think positive thoughts and imagine good, interesting things happening, you can't feel anxious at the same time. That is why so many people have successfully used self hypnosis for anxiety. Hypnosis - whether it is guided or self-applied - always begins with relaxation. Typically you first relax the body in order to begin relaxing the mind. Once the body is relaxed, we work on quieting the mind through relaxation and focus. Like in the case of meditation, the simple practice of deep relaxation combined with positive mind visualization will reduce your overall stress and help you become more focused and in control. For many people, a 15 minute guided closed-eye-exercise once or twice a day, is enough to keep anxiety at bay. 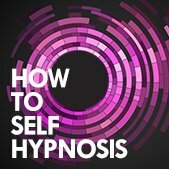 You can also use suggestion, affirmations and other mind power techniques with self hypnosis for anxiety to boost your practice further. Even if you are unable to to eliminate stressors or avoid triggers completely , with hypnosis we can use the power of mind to visualize new scenarios and condition new responses. No matter what it is that causes you to feel anxious, you can use the power of the mind though hypnosis to help you begin feeling better. Anxiety Hypnosis: Just How Effective Is It? Auto Suggestions for Fear and Anxiety.